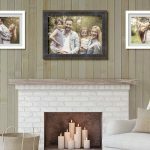 You would think that being in the business I am in, within my home the walls would be covered with artwork from framed prints to gallery wrapped canvas art. Actually only recently, after old little girl got older and enter Kindergarten did this start to change. Now pictures are beginning to show up on our walls, albeit generally photos of our daughter or pictures she painted, but the walls are beginning to be populated. 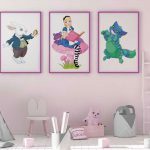 As I started adding these pictures of her or her framed art I have developed a few tips I would like to share. Despite all of the advancements in technology since the introduction of window displays back in the late 1800’s, presentation still holds the most chips. And, as any successful store window designer knows, it isn’t enough to simply show off your products. No, you’ve got to set a stage; a scenario. Create something to which your shoppers can actually relate. You have to implant an idea into their minds – one that tells them how perfectly your product fits into their world. If you’re ready to start offering prints for sale, you’re probably really excited about building a product list for your online store. 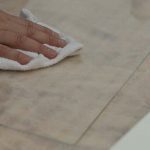 Assuming you have already digitized your artwork and run a few test prints, it’s time to start making some decisions about products and variants. Glazing is a term picture framers will use to refer to the glass in a framed picture. 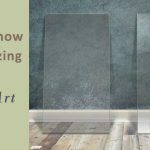 I am not a big fan of the term since it does not quite convey a proper meaning and sometimes people assume it only refers to glass so for now just know glazing is clear plate of glass OR acrylic that covers the face of the framed print. 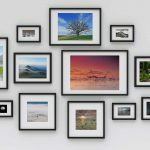 There are 5 tips I would like to share to help you with your framing: Enhance & Accent, Limit Framing Styles, Use Matting & Glazing, Add Borders to Your Print, and Choose the Right Frame Size. 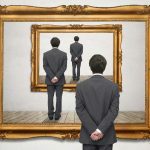 Any framing expert would likely be able to point to dozens of additional things to do but these should go a long way in helping you if you are framing your giclee prints online. Did you know that we offer custom print sizes at no additional charge?